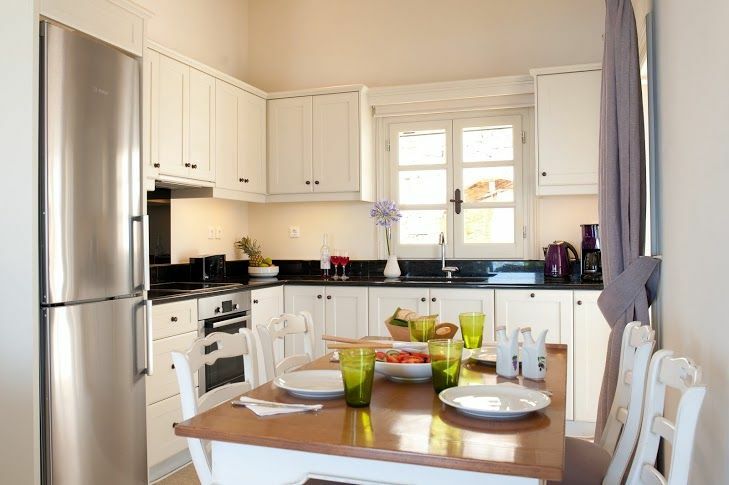 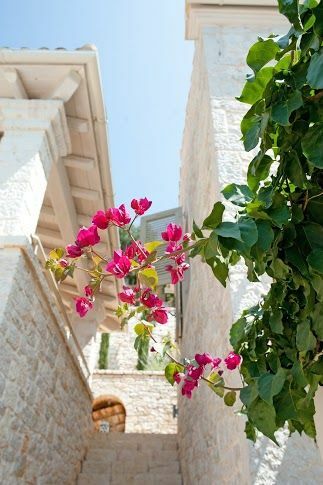 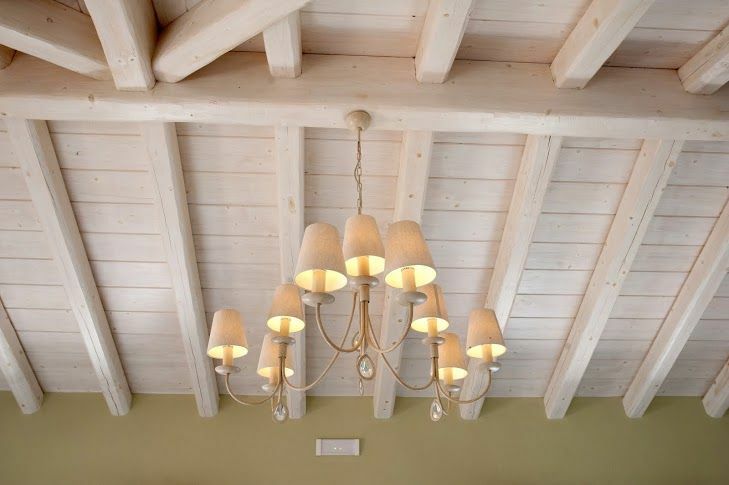 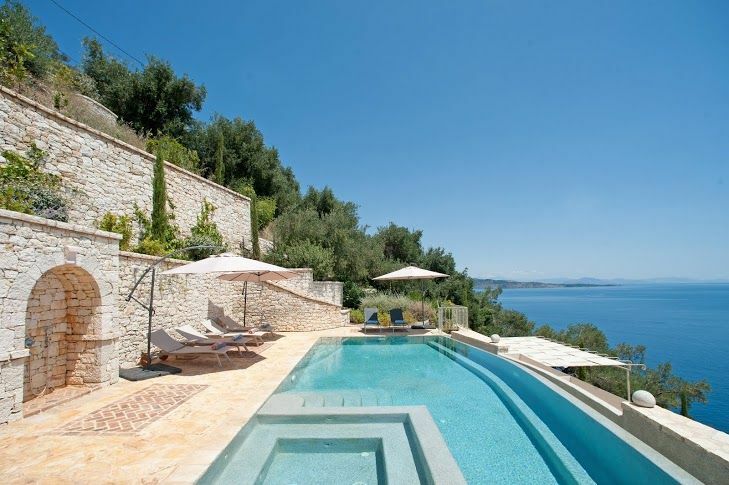 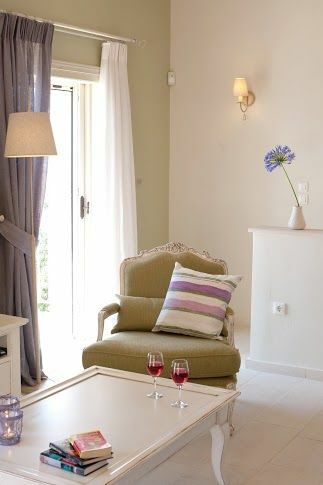 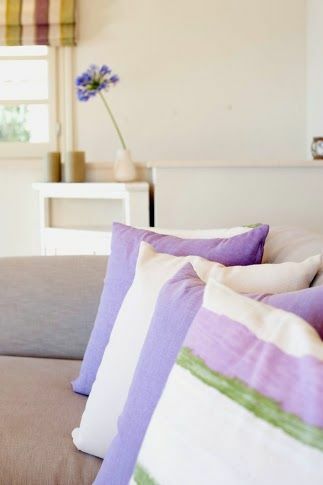 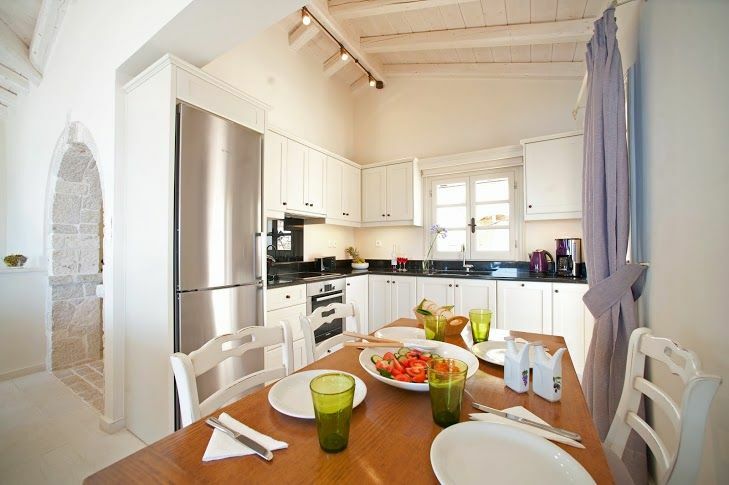 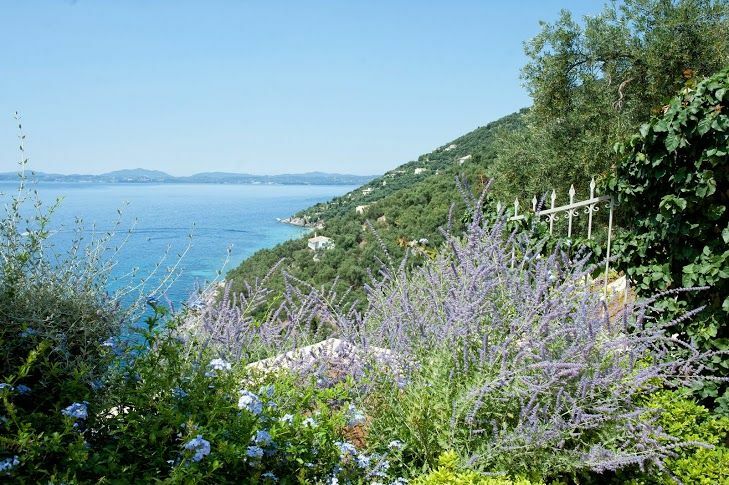 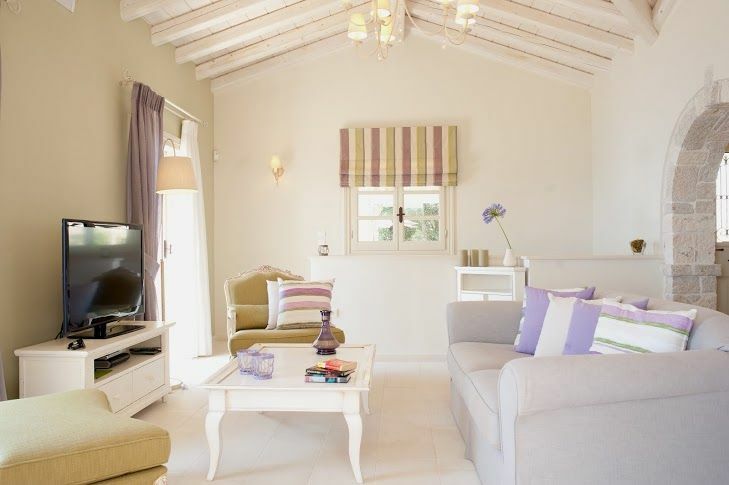 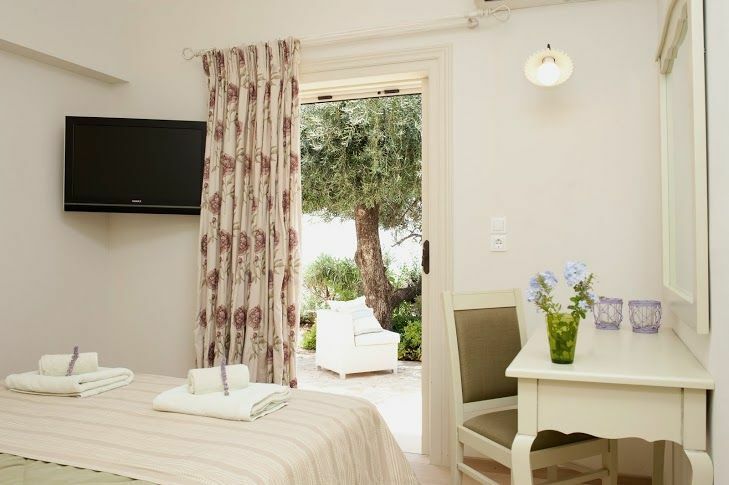 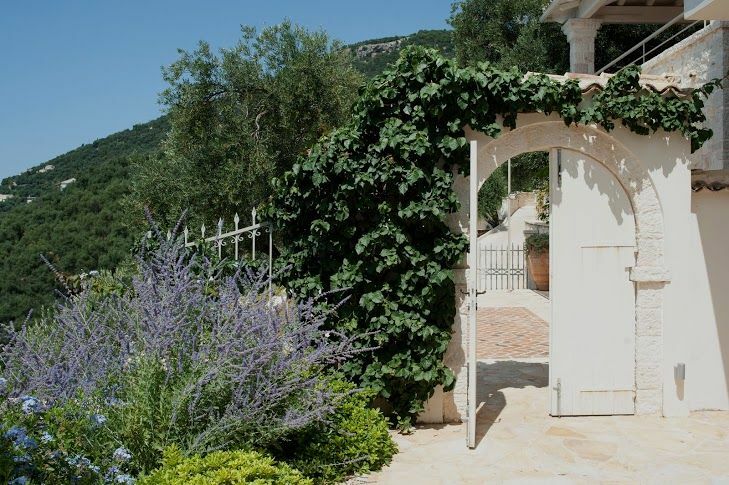 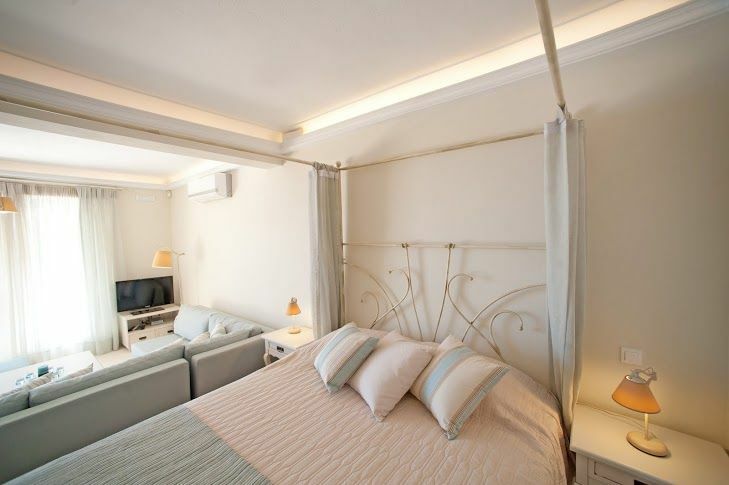 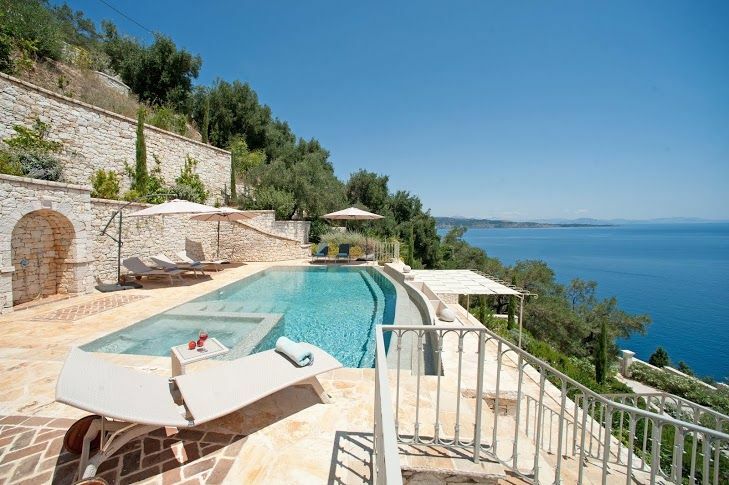 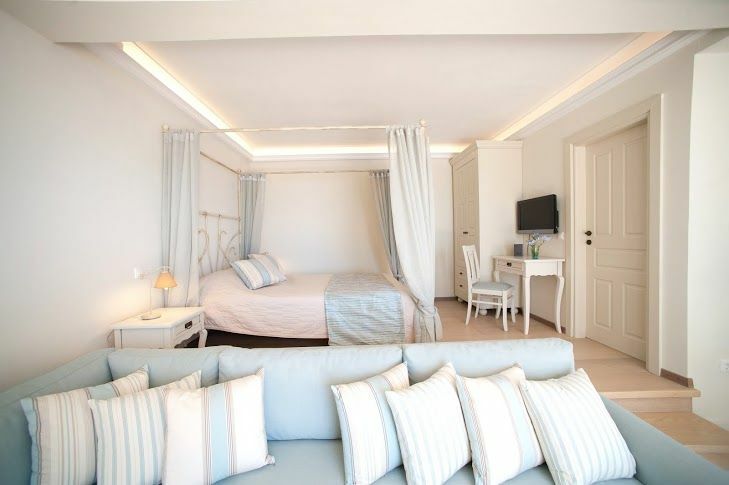 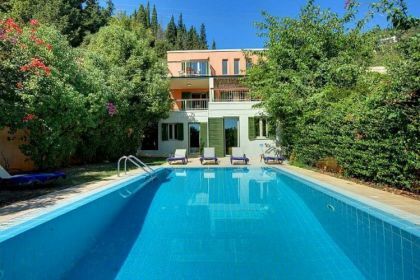 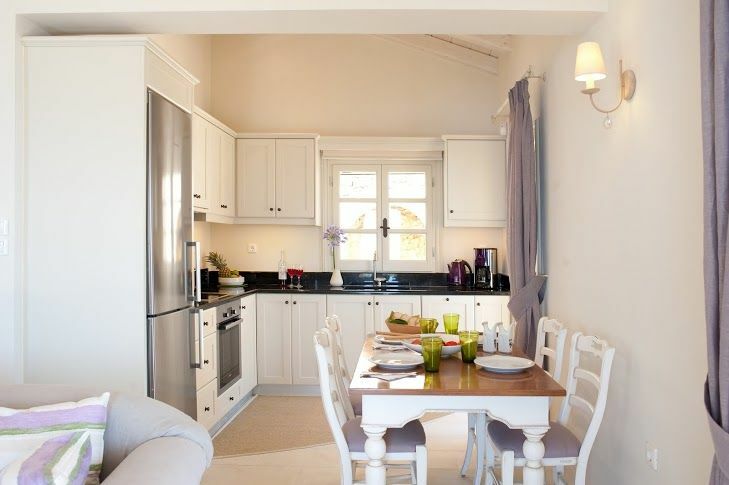 Villas for rent in Corfu in Greece. 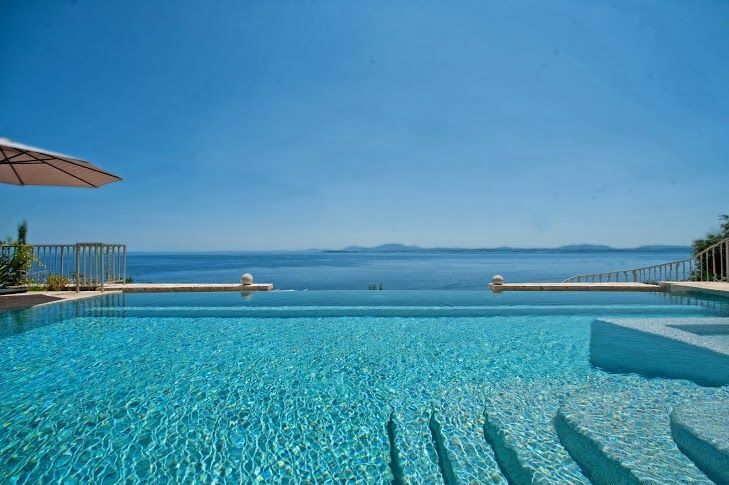 COR058 is a beautiful 3 bedroom stone villa featuring generous outdoor spaces through verandas and terraces as well as an infinity swimming pool and a whirlpool. 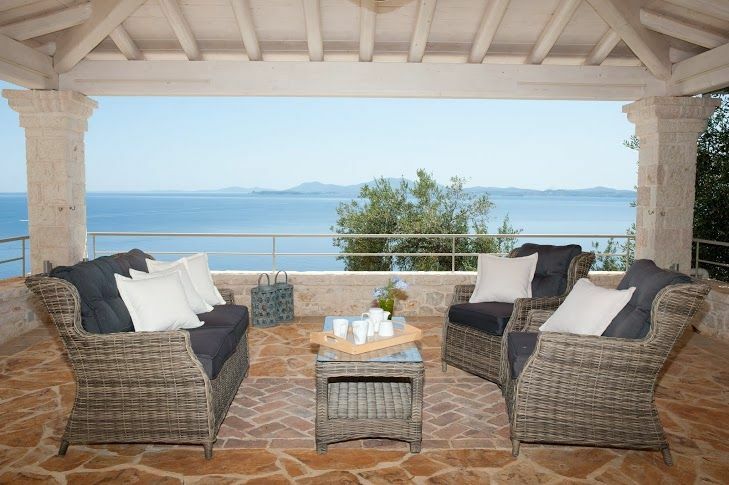 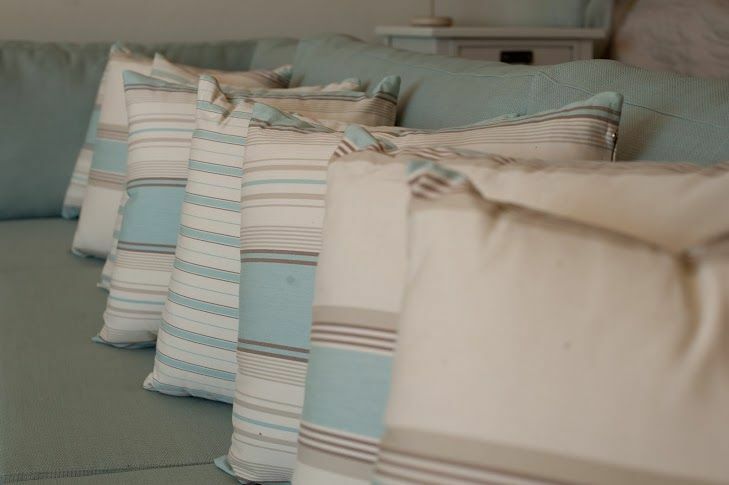 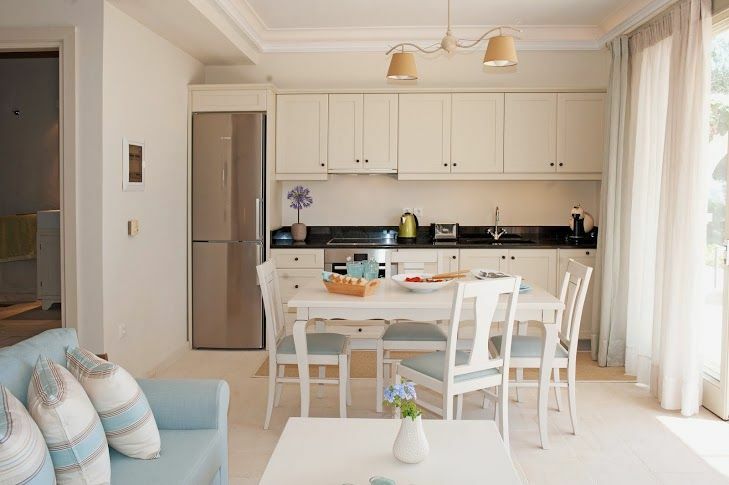 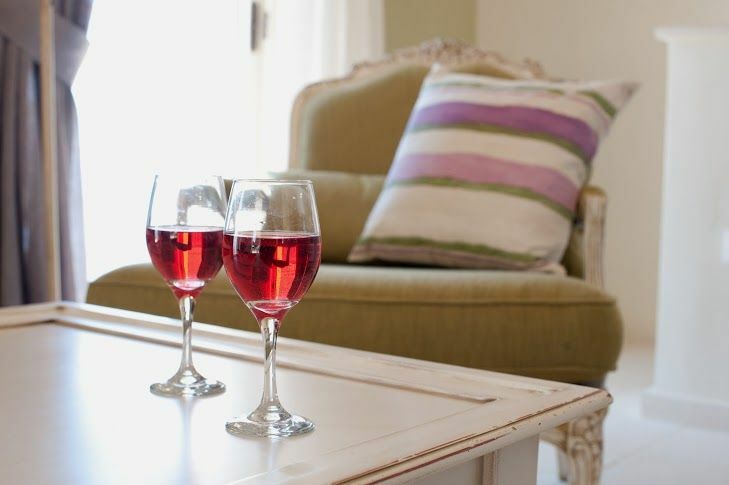 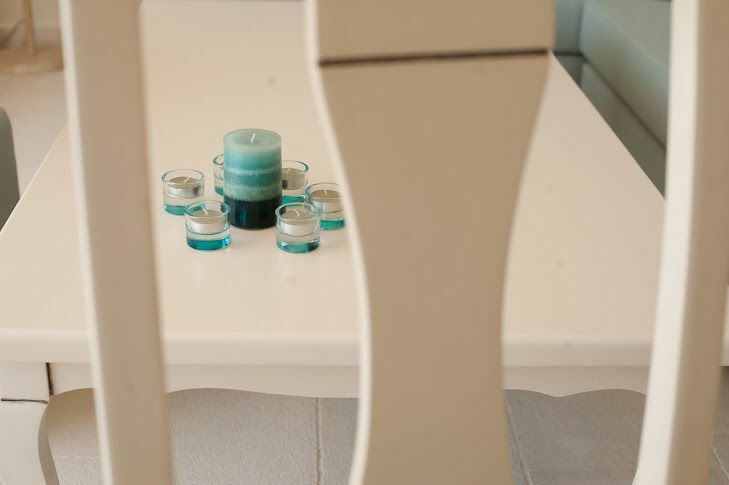 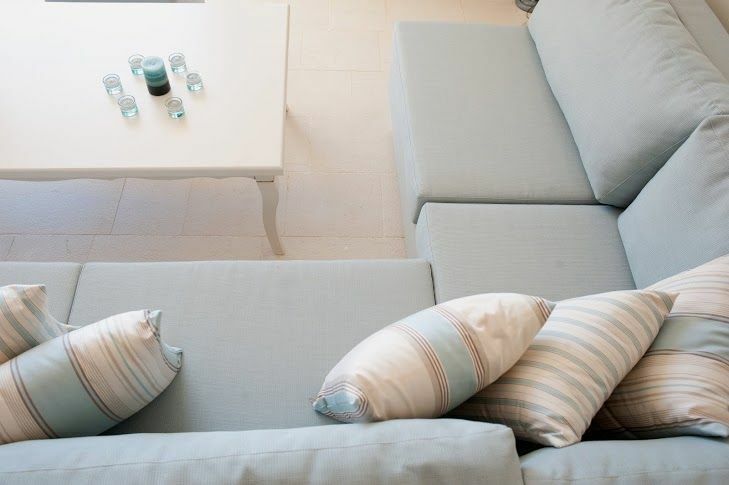 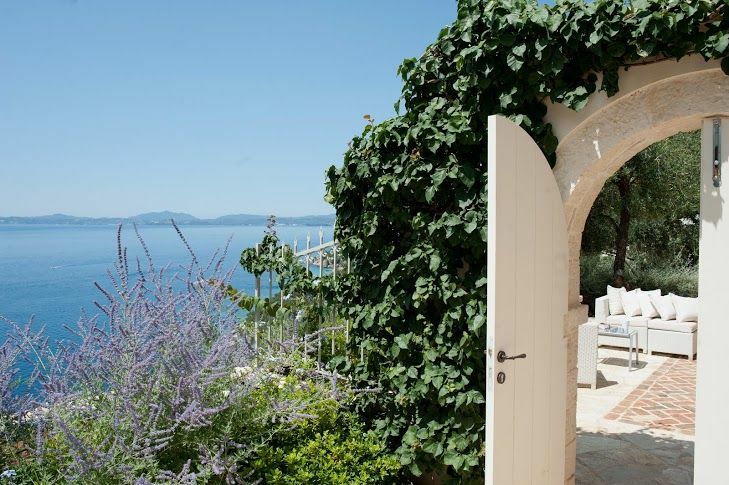 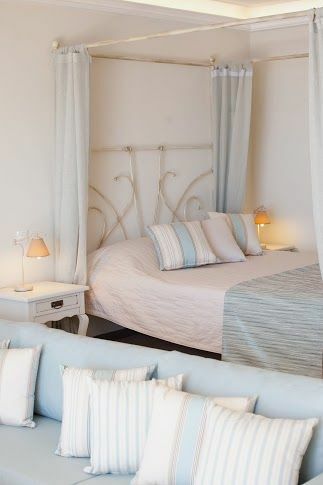 The property boasts stunning sea views and the garden that surrounds the villa is furnished with outdoor dining table and chairs, sun beds and BBQ. 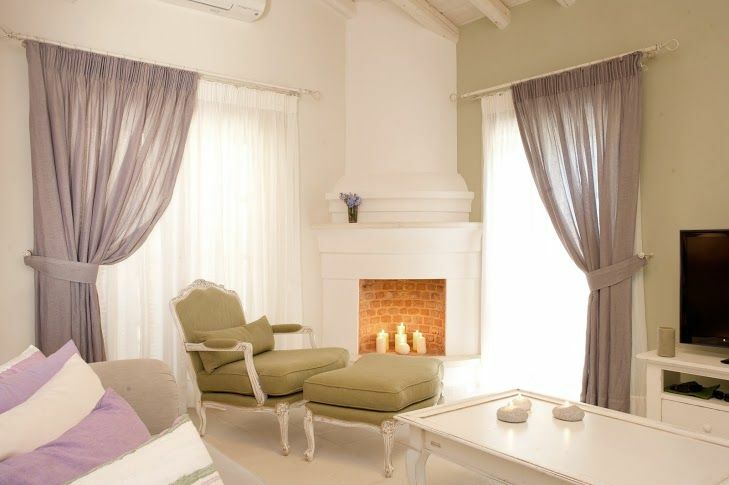 The villa design is elegant, bright and airy. 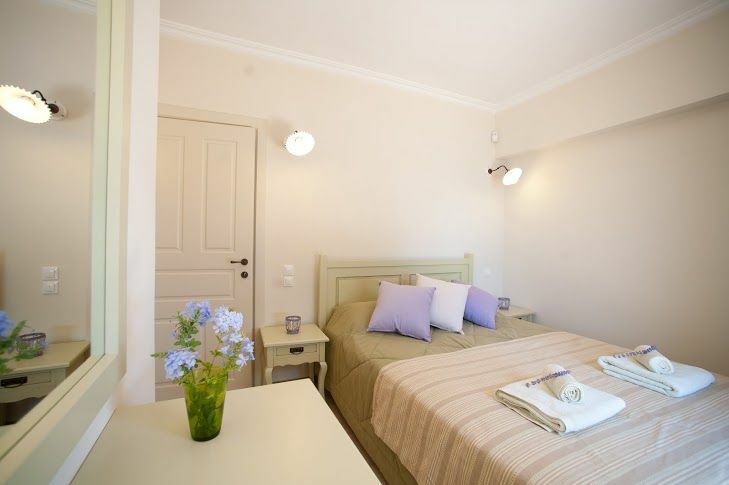 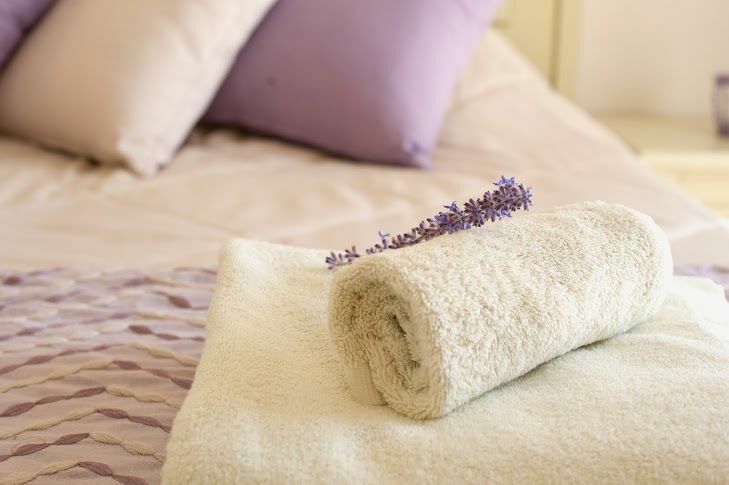 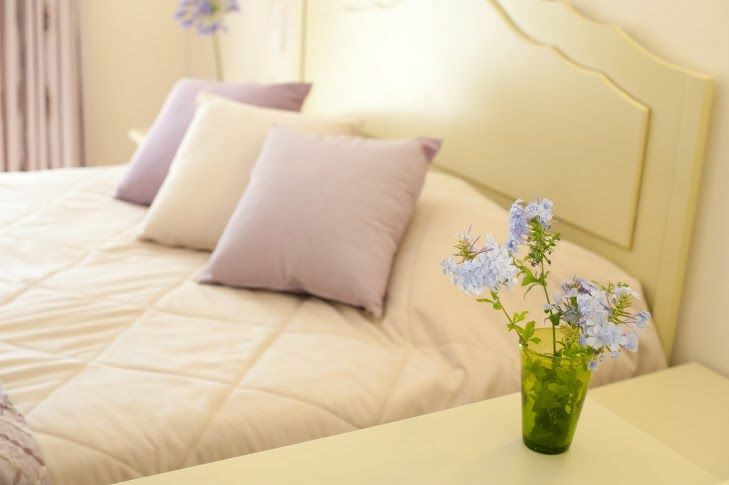 - Ground Floor: 2 bedrooms(one master bedroom with ensuite bathroom), bathroom, laundry room. 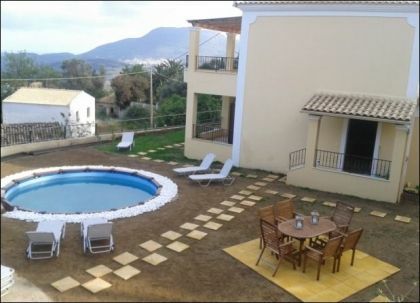 At the villa corner a studio is located. 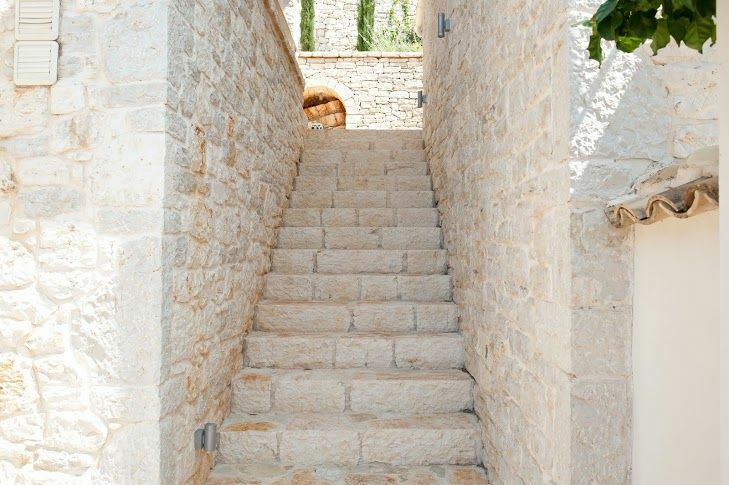 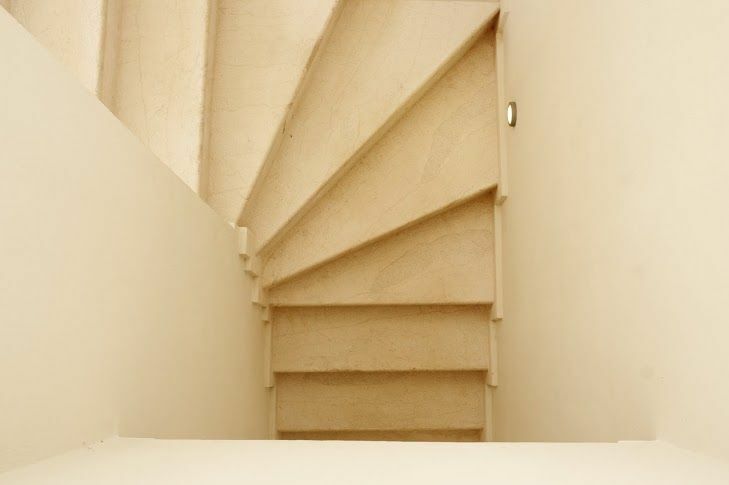 It has its own separate entrance, bathroom and terrace. 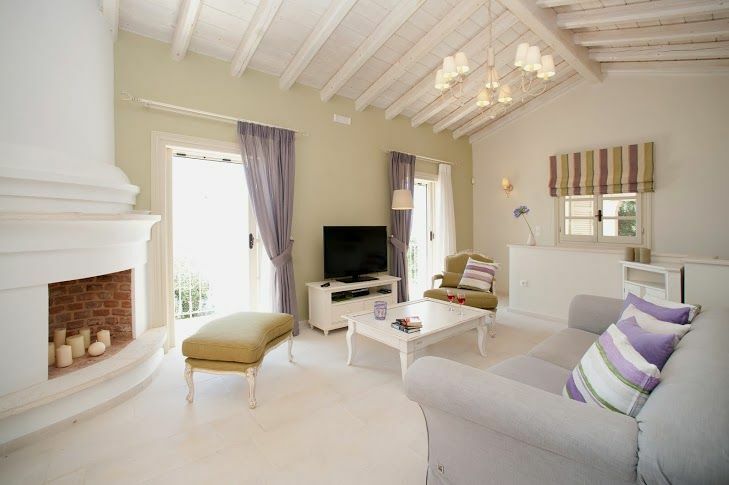 - First Floor: bright sitting area with dining place and an equipped kitchen. 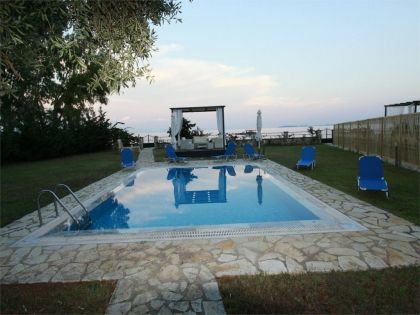 Wadrobe, Pool exit, Barbeque are 2balconies facing the sea and the city of Corfu.